2 The Granary is a charming Grade II cottage listed granary beside a quiet lane on the edge of the pretty village of Brighstone, 1/2 mile from the sea. The Granary originally formed part of Brighstone Mill and dates back to 1700. 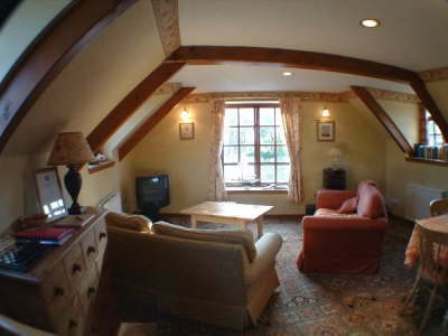 Converted in 1990, the cottage has an unusual and cosy layout. We have furnished the cottage to a high standard to provide our guests with comfortable accommodation for 4 people - and with double-glazing and a gas central heating system is ideal for holidays and short breaks all year round. The living accommodation is on the first floor where there is an open plan lounge and dining area with views of the surrounding countryside. 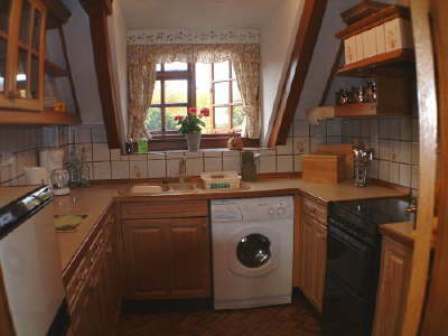 The fitted kitchen which you will find very convenient is completed with washer/dryer and microwave. 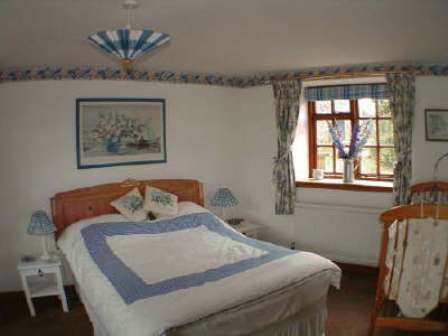 The ground floor has two lovely bedrooms and a bathroom with toilet, basin, bath and overhead shower. Our guests can sleep comfortably in the double bed bedroom or a twin bedroom. All the bed linen and the towels are included in the rent. Cot and high chair can be provided if required. The Colour TV, DVD Player / Recorder, stereo/CD player will entertain you if the bed weather keeps you inside. Having a nice weather you can enjoy on the enclosed patio and have your meals outside. 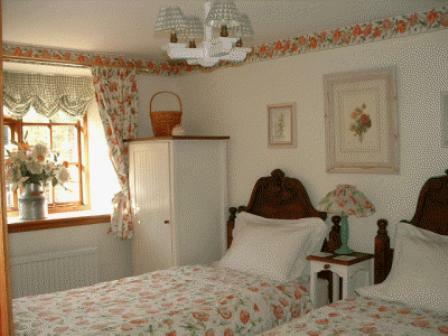 Our aim is to ensure that you have a pleasurable and relaxing break at 2 The Granary. To check availability and prices or to simply find out more information, please feel free to contact Teresa or Steve on the phone or by email. We are very sorry but no pets and have in mind no smoking as well. One car can be parked off road but if you travel to the Island as a foot passenger we will fund your ferry tickets. We think that Brighstone is one of the most attractive villages on the Isle of Wight. It is situated on the south west coast, less than a mile from the sea. Brighstone has everything that you would hope for in a village - a church, two pubs, cream tearoom, doctor’s surgery, newsagent, grocery shop, hairdresser, Post Office and even a National Trust shop and museum! Whether you are looking for a romantic holiday or having kids with you Isle of Wight is the place where you will be delighted to have your holiday. The Brighstone Forest is approx 2 miles away, and you will find some spectacular views around the island high up on the Downs. For us the most fabulous thing about Brighstone is that it is at the centre of a great sweep of scenic coastline extending from St. Catherine's Point to the Needles. Here you will find that the beach provides a safe area to swim, fish, hunt for fossils or simply take a leisurely walk. We are approx 1/2 mile from the sea and the nearest access via public footpath at Grange Farm. Island Eye can make it easier for you to find your way through the Island. Welcome to our holiday cottage on the stunning Isle of Wight. We hope you get as much pleasure from The Granary and its beautiful surroundings as we do. Make it your home while you enjoy this wonderful island of beaches, good walking, places of interest and of course…those old dinosaurs!